If you’ve been reading up on the latest trends in the nutrition and optifast weight loss industry, it’s no secret that ‘gluten free’ eating is catching on rapidly. More and more individuals are starting to adopt this way of eating, sacrificing so many of the foods they love. Bread, pasta, cereals, even non-grain based foods such as dairy products are being banned from their diet due to containing the gluten protein. But is this all really necessary? Should you adopt a gluten free diet as well? Here are some points to know. First, realize that there is a big difference between someone who suffers from celiac disease and someone who just has a mild case of gluten intolerance. For those who suffer from celiac disease, if they eating gluten, they will actually suffer from damage to their intestinal lining. This in time can mean they won’t absorb foods as they should and may suffer from severe nutritional deficiencies and rapid weight loss. For these people, going gluten free is not an option – it’s a must. For many others though, they may just have a mild intolerance, meaning they get a mild reaction whenever they eat gluten containing foods. Bloating may result or they may suffer from gas and indigestion. Few people actually have an intolerance level so great however that they really must avoid any and all gluten. They may want to stay away from the classic offenders such as bread, but there’s no need for them to cut out every trace of gluten in their day. 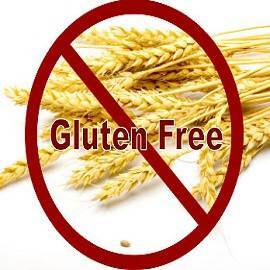 Many people who don’t even have an intolerance are also opting to go gluten free because they believe it will help with their weight loss journey. But, take note: gluten free does not mean fat loss friendly. You’ll see people eating cookies, crackers, and all kinds of otherwise unhealthy foods just because ‘gluten-free’ is slapped on the package. Don’t lose common sense. If it isn’t good for your weight loss efforts while it contained gluten, it likely isn’t good without gluten either. If you focus on eating a natural diet consisting of plenty of fruits, vegetables, and lean proteins, you’ll take in very little gluten without effort and be losing weight safely. There’s no need to start scrutinizing ingredient lists for gluten if you use this approach.